Regular exercise is a great way to deal with stress, helping you to regain focus and control of your life. It is known to increase mood-enhancing hormones in the body - to such an extent that some doctors now prescribe it for depression. Above all, exercise should be fun. Shaping up should be a three-step process – aerobic work to shed fat, strength work to tone muscles and stretches for flexibility. Aerobic fitness guards against stress-related disorders and heart disease. When you train aerobically – by running, swimming or cycling, for example – you raise your heart rate and increase your body’s consumption of oxygen, which will speed up your metabolism. Lean muscle tissue has a much higher metabolic rate than fatty tissue – which means that the more toned you are, the more calories your body burns. Remember to warm up and cool down before and after all exercise, to avoid risk of joint injury, increase flexibility and encourage long, lean muscles. Interval training – where you exercise at a comfortable pace, then speed up for short bursts – is the best way to improve performance and stamina. Warm up by jogging for five minutes, then stretch each major muscle group for 10 seconds, or so. Stretch the same muscles again when you finish exercising. Do not try to do too much, too soon. There are dozens of sports to choose from, but running, cycling and swimming are all good, easy ways to start. Couple one, or all, of these with Pilates for muscle tone and you will soon be transformed, in mind and body. All you need to run is a good pair of trainers and comfortable clothes. 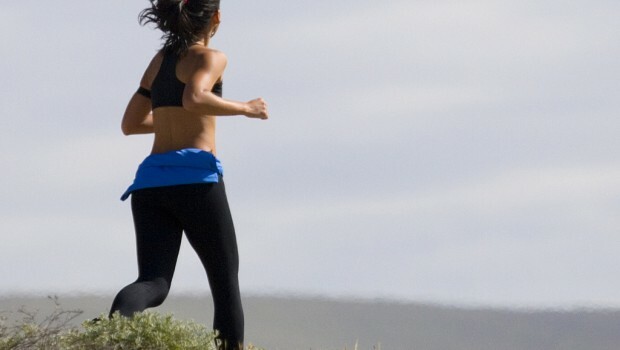 Running is good for strengthening the heart and lungs, losing weight and improving general fitness, but bad for joints. Keep your body relaxed as you jog, while maintaining tight stomach muscles and ensuring that your heel hits the ground first. Breath in time with your strides and enjoy the changing seasons. Build up slowly, until you are running for 30 minutes, three times a week. Once hooked, you may never stop. A good low-impact cardiovascular exercise, cycling works the quadriceps, the muscles at the front of the thighs, and tones the legs. Keep your back flat to prevent straining the muscles in the middle and lower back. Keep the ball and front of the foot on the pedals. As you cycle, the force of the movement should be generated by the quads, then transferred through the ball of the foot. One of the most popular sports in Britain, swimming builds strength and tones the body. If you work hard, it will provide a good low-impact cardiovascular work-out. Correct technique is important. This will improve work-out times and reduce the risk of muscle injury. It will also make it more fun. Pilates is the latest fitness craze – despite the fact that it has been around for 70 years. There are now classes in gyms and church halls around the country, but is simple to do at home. All you need is a bit of floor space and comfortable clothes. Based on breathing and correct posture, the moves are a bit like yoga. It is good for backs, for flat stomachs, for joints – and for sports injuries. It induces a feeling of well-being and is said to improve memory and sleep quality. Pilates will not burn fat, but it will leave you looking longer and leaner. The queue for Lesley Ackland’s pilates classes in central London featured on Vogue’s list of most-desirable waiting lists. This gentle martial art is easy to earn. Sequences of slow, fluid movements and breathing techniques are designed to improve the flow of qi – or life energy. It builds strength and harmony of body and mind. Encourages agility and speed, while also providing both a good overall workout and a sociable activity. Fresh air, good exercise and improved concentration. www.efit.com shows how to take your game up a notch. It also carries exercise and workout programmes designed to improve your swing speed, driving power and pointers on how to improve your technique. Power walking is a skill in itself and can burn many more calories than ordinary walking. It can be done anywhere and the intensity can be altered just by speeding up or walking up a hill. Your heel should strike the ground first, and try to walk on grass where possible, to minimise impact. Swing your arms rigorously in time with your strides to use more calories, keeping elbows bent at 90 degrees. Do not swing your hips and keep abdominals and back firm. For more information on where to go in order to play a particular sport please visit our section on Sporting Breaks. Caroline Law is a health writer and regular contributor to The Sunday Times, The Times and Marie Claire.